On a sunny day in Guinea-Bissau, Gao Chao gorged on fresh oysters alone while his family celebrated Spring Festival thousands of kilometers away in Chongqing, southwestern China. The West African country was the 32-year-old's 150th destination in a globe-trotting lifestyle that has seen him spend most of his life on the road since 2014. 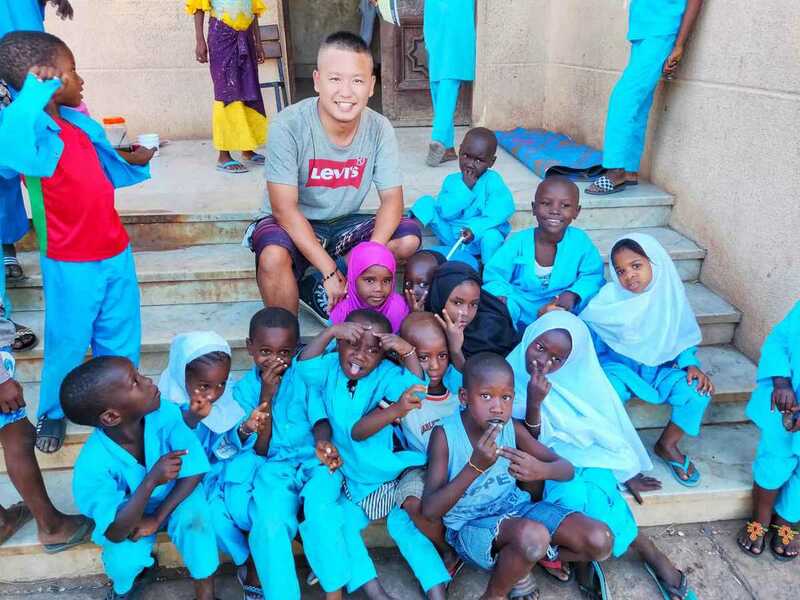 On Feb 5, the first day of the Lunar New Year, he uploaded a short video of a Bissau-Guinean man saying "Hello, happy new year" in Chinese on his WeChat and Douyin accounts. "I seem addicted to life on the road and I just can't stop traveling," Gao said. He first traveled overseas when he went to the United Kingdom in 2008 to pursue a postgraduate degree in geological engineering at the University of Birmingham. In order to travel as much as possible, he has been freelancing since graduation. "I don't like being confined to one place," he said. "I want to be around to see the world." He decided to start his globe-trotting in 2014, using savings from part-time jobs. Like most travelers, Gao first focused on visiting famous natural landscapes and scenic spots. However, he soon found the local cultures and everyday life in foreign countries more interesting. "Now, I like to visit local farmers markets and meet people on the streets," he said. To communicate with and get close to local people, Gao has been an active member of Couchsurfing, a hospitality and social networking platform that helps travelers find free accommodation and meet new people of all races. He estimates that he has slept on over 200 couches in about 80 countries and regions. "Almost all the Couchsurfing hosts can speak some English, so I can learn about the local culture and history from them," he said. Gao cooks Chinese cuisine for the host families in their homes, especially the specialty hotpot from his hometown. "Traveling is not just about what you see but the people you meet," he said, adding that he loves continent hopping to avoid "aesthetic fatigue". "I will travel in Europe for two months, for instance," he said. "Then, I will go to Africa for a change." On his latest adventure, Gao left Chongqing in mid-October after a short break at home, bound for the Philippines. He then passed through the Middle East and Europe on his way to his main destination－West Africa. So far, he has visited Mauritania, Senegal, Gambia, Guinea-Bissau, and Guinea. "I want to get to know the real Africa through my own eyes," he said. "I don't believe in stereotypes." He said that although life in West Africa was difficult, people were generally happy and polite, and the land and sea yielded a rich array of produce. His five years on the road have cost him about 500,000 yuan ($73,770) as he has worked on perfecting the art of budget travel. Gao said he plans to continue traveling, with the aim of visiting as many places as possible. "The world is so big and different," he said. "Traveling teaches me to keep an open mind." On a sunny day in Guinea-Bissau, Gao Chao gorged on fresh oysters alone while his family celebrated Spring Festival in China.